Notes and anecdotes from the design world. The kitchen is the heart of the home, and revamping this room can make your home function better, feel better, and fetch a much higher price when it comes time to sell down the road. Kitchen renovations are one of the most popular undertakings for homeowners across the country, and it’s easy to understand why; a properly renovated kitchen can increase your home’s value by thousands upon thousands of dollars. The right renovations can also tailor your kitchen to your family’s needs, making your house work for you in the way you need it to. As with any large expense in life, proper budgeting is essential. You’ll be amazed—and frustrated—by how quickly the expenses can add up for your kitchen renovation. The average cost for a high-end kitchen remodel comes in at a whopping $80,000, and while the true cost varies depending on your desired renovations, be prepared to spend a great deal, and be realistic about how much you can afford. For most homeowners, a kitchen renovation is completed with thoughts of resale in mind. If you plan on selling your home within the next few years, you’ll only want to invest as much in your kitchen as you’ll recoup when you do sell your home. If you plan on staying in your home for a long time, you may be willing to spend a bit more to ensure your family receives the functionality and comfort they need. As you create your budget, be sure to plan out where exactly the money will be going. Will you spend the majority of your budget on new cabinets? Perhaps you’re in need of new energy efficient appliances from Energy Star—those will take a serious chunk out of your total spending allowance. As you detail your budget allotments, be sure to set aside a good portion to handle the unexpected tasks and reworks that inevitably arise during a remodel or renovation. It’s important to understand just which renovations are non-negotiable, and determine those that may be nixed if your budget becomes strained. Are you more interested in improving the functionality of your space? You may be able to forgo that pretty backsplash behind the stove. Perhaps you’re on the hunt for style; you may find your appliances are still in good condition and don’t require replacing quite yet. With your kitchen in shambles, you’ll need to make a plan for dining. This may seem silly, but it’s important to consider the fact that you’ll have no stove or oven to work with. Your family may find themselves eating out more, ordering delivery, or sticking to microwavable meals. Make sure you have a dining plan in place. As eating out often can get expensive, you’ll need to plan for this cost during the budgeting stage. While you can’t handle an entire kitchen renovation on your own, it’s important to do the work where you can. Taking on some of the renovation and demolition tasks yourself can save you thousands of dollars. Don’t hire professional help when your own two hands are able to do what you need done. You don't have to spend a fortune on building materials. Without proper planning, DIY renovations can end up being more costly than expected due to material costs. Luckily, with the right amount of time and strategy on your side, you can get discounted materials and save money. Find Lowe's coupon codes and save a bundle on building essentials for your kitchen renovation. From cabinetry to sinks and hardware, learning how to shop for discounted materials will prove to cut costs significantly. If you’ve decided to renovate your kitchen, there’s plenty of prep work to complete before you begin knocking down walls and taking down cabinetry. Keep these features in mind and transform your kitchen into a modern oasis. So Your Kitchen Is Flooded. Now What? We can’t say for sure what the worst homeowner nightmare would be, but we’re pretty sure a flooded kitchen holds a firm position somewhere at the top of the list. When water isn’t where it’s supposed to be (like when it forms a swimming pool on your kitchen tile), it can cause serious damage. And the tricky thing with water damage is that some of it can be unseen. 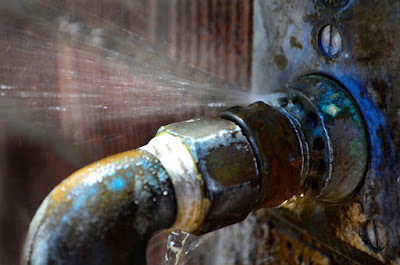 Water can seep into cracks and crevices undetected, causing a buildup of mold and other severe problems. When you’re faced with a flooded kitchen, you’ll undoubtedly feel overwhelmed. What damage is being done? What can you do to stop it? What should you do first? Read on to find out. The obvious first step is to stop the water from doing any more damage. Find the source of the leak, and stop it. If a pipe has burst, turn off your main water valve. If the leak is near your sink, you may be able to find a knob near the pipes. If all else fails, you can typically call a plumber, describe your situation, and have them help you figure out how to turn off the water. If you see sparks or smell gas, turn off the electricity in the flooded room. (This can be done at your main breaker.) Next, call the fire department immediately, and leave your home. A flooded kitchen is one project you should not tackle on your own. Mold can grow in as little as 24 hours, which means you want the water in your kitchen cleaned thoroughly by someone who knows what to do. Removing the water yourself, patting the area dry, and leaving a fan on the floor for a few days is not a sufficient treatment for a flooded kitchen. 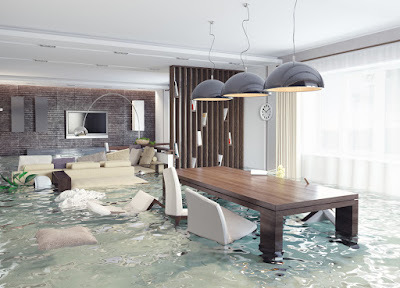 Water can seep into unseen places, and you can end up dealing with major damage down the road. You need the help of a disaster relief company, which will handle all the cleanup, gather evidence, get estimates, and deal with the insurance adjuster for you. Not only that, but they may be able to negotiate to get you the most claims money possible. 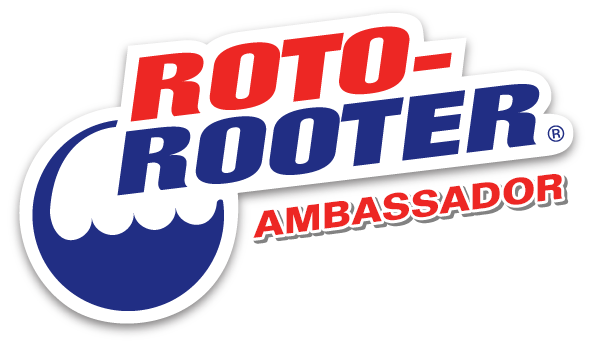 And if you need to rebuild or restore, the disaster relief company will know how to do that. Tell your insurance company about the flood so they can get their process moving. Don’t wait too long, or you could affect the outcome of your claim. Ask questions: Is the damage in your kitchen covered? Will the insurance company reimburse you for takeout food if your kitchen is temporarily unusable? Will there be extra costs? You’ll want to have a water damage restoration company do the main cleanup, but take stock of your furniture, books, and more to see what you can save. Don’t leave books in wet places because their colors can bleed. Move furniture and other items to dry places, and let them air out. But only do this after the damage has been documented properly by the disaster relief company and/or insurance company. If an item looks like it is destroyed, ask the disaster relief company for advice. Make sure to file appropriate claims with the insurance company for anything that has been destroyed. If your kitchen has been badly damaged, you’ll need to begin a restoration process. The insurance company should tell you how much money you’ll receive, and once they do, you can begin working with a restoration company to restore, remodel, or even upgrade your kitchen. That sinking feeling you felt when you first saw the flood in your kitchen? You can quickly replace it with relief — as long as you act fast, and get the right team on your side. Deborah Lamberton is the general manager for New Life Restoration, a 24/7 disaster cleanup company that offers fire & smoke, water & storm damage, mold remediation and more. 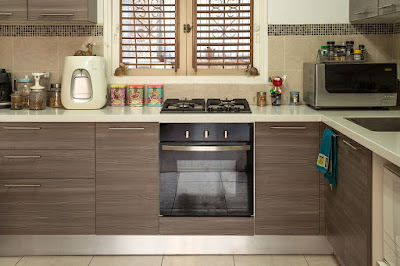 When we have children, the kitchen is often a room we don’t think about childproofing. We just assume that the children won’t need to go in the kitchen so it’s not something we need to worry about. While this may be true of babies and very young children, as they get older, it’s fun having them in the kitchen and involving them in cooking and baking. Your kitchen can easily become the heart of your home, and a place where you spend time having fun as a family. 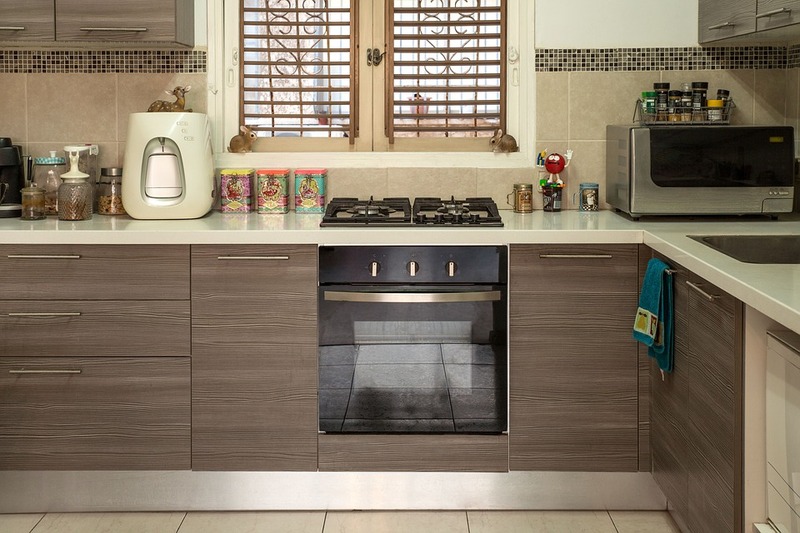 Generally, you just need to make a few small changes to turn your existing kitchen into a safe, family-friendly space. In any family home, safety is, of course, the most important thing. Especially in the kitchen where there can be a lot of danger. Think very carefully about your storage. Keep any sharp knives and utensils out of reach or locked away, but also keep anything particularly heavy such as large pots and pans out of reach. Cupboard locks are a great investment. However you choose to make your kitchen safe, do regular reviews as children are growing and learning all of the time. Another way to keep your kitchen both safe and welcoming is to keep it tidy. Make sure that everything has a home and that you keep on top of any chores. Give older children their own responsibilities and involve them. Make it colorful. Light, bright colors can help to create a fun, friendly atmosphere. Why not let your children help you chose a color scheme? They love being involved and feeling like their opinions matter. The very best way to make children feel at home and welcome in any room is to add some fun. Hang their artwork on the fridge or even frame some for the walls. Get them a window box and let them have their own mini herb garden. Cover your fridge with fun magnets they can play with. Open your kitchen up to your children, let them in, and then watch them thrive as they discover new skills and explore new sides of their growing personalities. If you want your children to be able to get involved in cooking and preparing meals from a young age, you need to think about height. If your sink and work surfaces are too high, consider keeping a stool or step close to hand so they can get involved whenever they want. Even if it’s just to watch. Having a seating area in your kitchen is a great way to make it a more social space. We all lead busy and hectic lives so often meal times are the only chance we get to sit and speak to our families. Having a seating area means you can do more than just eat together. The children can sit doing their homework or talking to you while you cook. Even a small breakfast bar can be a great asset. If your kitchen needs a full overhaul to either help make it safe or update your style, get in touch with a kitchen remodeling Toronto company who can help you get started today. Sometimes overlooked until the last minute, this very important part of bathroom design requires careful thought. Inadequate lighting can make your everyday chores more difficult. However, a boost of confidence is but one reward when that guy or gal in the mirror is cast in a flattering light each morning! Let’s talk about some concepts that will help make your renovation a brilliant success. First, we want to divide bathroom lighting into 4 categories: ambient, vanity, accent, and decorative. These categories are sometimes called “layers” as each serves a purpose, though their functions usually overlap. Don’t worry, it’s actually quite simple. Ambient lighting could also be called general purpose lighting. A surface mounted fixture or a series of recessed lights are most common. You’ll want to ensure that no dark or shadowy areas detract from the cheery atmosphere. 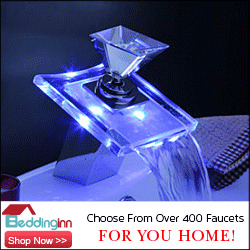 You have an ever growing number of beautiful fixtures to choose from. Many designers now recommend pendant lights or even small chandeliers for bathrooms. These disperse the light evenly and add a touch of elegance. You’ll get plenty of ideas not only on lighting but for all your fixtures by browsing through SmartStyle Bathrooms online showroom here. For something out of the ordinary, you might consider cove lighting. A string of lights, like a tiny rope, hidden behind a crown moulding. The moulding is placed down from the ceiling a bit so the light spills over into the room. You can a choose from a wide variety of colours and brightness to perfectly complement the rest of the room. This could fall into the decorative category as it may not be the main source of light for the room. Whatever the label, this will create a warm glow around the perimeter of the room and gives a classy, modern look. Don’t forget the shower! In all too many homes, the shower area is not lit and unless there is plenty of ambient light, it will be a dark area. Just make sure any fixture slated for use in a shower enclosure is rated for the damp environment. 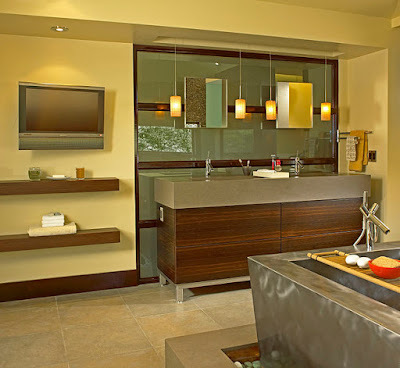 Vanity lighting is one of the key elements of successful bathroom design. Shaving, putting on makeup, hairstyling, and many other activities require plenty of light. Vanity lights placed above the mirror may cast shadows over the face and make everything more tedious. Even multiple bulbs often don’t always solve the problem. The new preferred method: a sconce on each side of the mirror, placed at about eye level will very nicely do the job. Because light comes from two directions, shadows are virtually eliminated. This method creates a flattering, even light over the face. You could even add a matching fixture above the mirror if you wanted. This will give a more traditional look and make things a bit brighter as well. You will want to put lower wattage bulbs in the top fixture to avoid the shadowing problem stated above. Also, choose fixtures that won’t extend past or overhang onto the mirror, as that will cause a glaring reflection of the bulb. Accent lighting and Decorative lighting add the finishing touches to a thoughtful design. A small recessed light can focus on and accentuate beautiful features in your bathroom. A picture or piece of artwork can be highlighted. Or perhaps the beautiful tile work or carefully chosen fixtures. Cove lighting, mentioned above, is another common decorative lighting element. It works well as under counter lighting or to outline other features of the room. You will want to coordinate fixtures, tile selection, wallpaper or other decorative elements so that they complement one another. 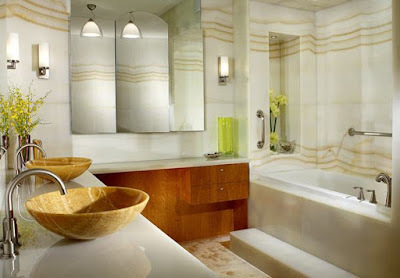 A touch of style will make your bathroom transcend the ordinary and allow you to really make a statement. The next step is to decide on some practical matters. For example, have you considered dimmers for your vanity lighting or what wattage the bulbs should be? You might enjoy reading this article in Forbes magazine that goes into depth on some of these details. Not only can dimmers be used to create atmosphere, but can allow a very welcome adjustment for tired eyes late at night. When choosing bulbs, a crisp white is regarded as the best colour for vanity lighting as it accurately shows skin tones. If you have ever been in a room where you had to try three or four switches to find the right one, you will appreciate the importance of switch placement. Make sure to place them so that they are in easy reach when needed. If done correctly, the use of each switch should be fairly obvious. Of course, it’s also a nice idea to have the exhaust fan and various lighting features on separate switches. Incorporating all these points into your remodel is not easy. Try not to get discouraged, just take it a step at a time. Many others have successfully worked through their projects and you can too! Here is a way to look at the whole project broken down into three simple steps. A little forethought and perhaps some help to refine your design will put you well on the way to creating an oasis in your home that you’ll be proud of for years to come. Robin Rigby Fisher "Not Just Kitchens"
©2010 Paul Anater, K&RD; all rights reserved. Awesome Inc. theme. Theme images by gaffera. Powered by Blogger.